Megamouth: Proof Sea Monsters May Really Exist? The megamouth shark (Megachasma pelagios) is a massive species of shark that's rarely seen by humans. In fact, since its discovery in 1976, there have been relatively few live sightings. It is big, elusive, and very strange. Megamouth sharks can grow nearly twenty feet long, the size of a very large great white shark. But there is no reason to fear getting chomped by this monster of the deep. Megamouth is a filter feeder like the whale shark and basking shark. These sharks don't attack prey, but instead swim with their mouths agape, sucking in tiny organisms. Megamouth may be big and weird, but unless you're an ichthyologist it may also seem a little boring. What kind of fun is a shark that doesn't bite? 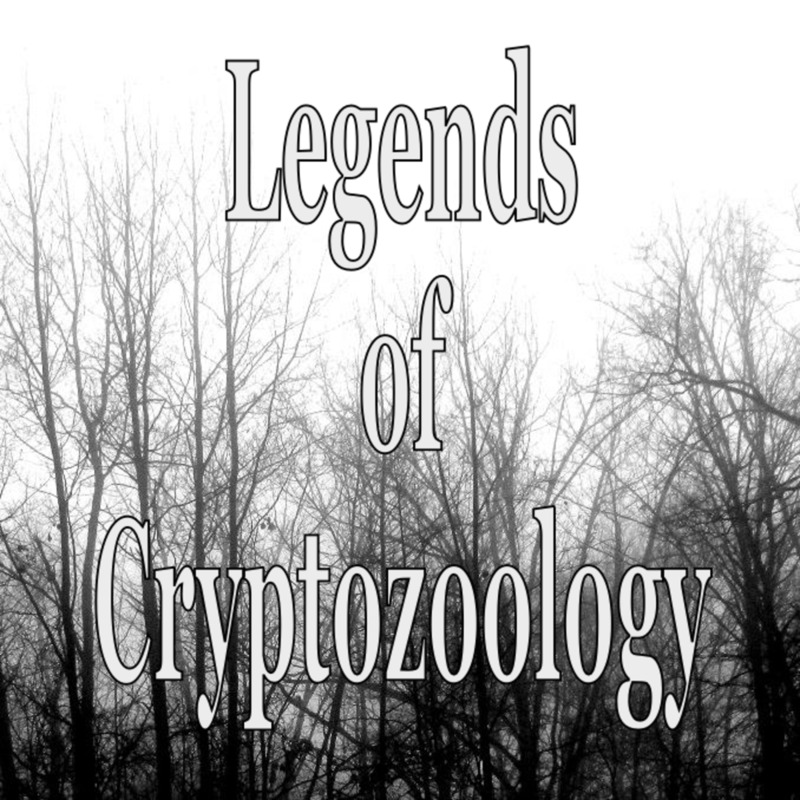 Then again, if you are a cryptozoologist there are a few things about this mysterious sea creature that make it pretty darned interesting. In this article we'll take a look at the megamouth shark, and what it all means in relation to other mysterious sea creatures. Does the existence of the megamouth prove there are more monster sharks out there, awaiting discovery? Legend has it there are some massive sharks out there. Some people claim to have spotted great whites measuring 30 or 40 feet. Of course they didn't actually measure them. They spotted them from a boat, and that immediately calls these accounts into question. However, such sightings often come from experienced fishermen who ought to know how to estimate the size of a swimming shark. Then again, you know what they say about a fisherman's tales, especially regarding the ones that got away. The largest great white ever officially recorded measured over 21 feet. So why should we think these stories of massive great white sharks are anything but exaggerations? It's reasonable to think that if great white sharks do reach such large sizes they would be spotted and documented. However, the fact that the megamouth shark grows so large and is so rarely seen is something to ponder. How does such a massive shark go undetected until the 1970s? This isn't a small fish or invertebrate, or even a medium-sized fish like the Coelacanth, which was once thought extinct. This is a massive shark, yet even today, with our modern technology, encountering this behemoth is extremely rare. Because the megamouth is so rare there isn't enough data to calculate their exact numbers. It may, in fact, be an endangered species. But even so, it's probably safe to say there are more megamouths in the world than there are 30+-foot white sharks. If the megamouth is out there and so hard to document, isn't it possible there could be massive great whites out there as well? The megalodon shark went extinct millions of years ago, but some people still think it is still around today. 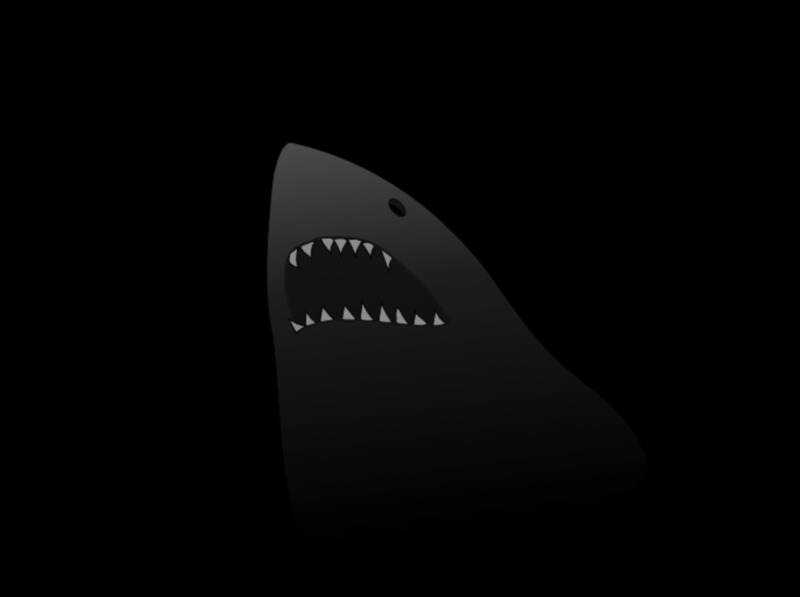 At a length approaching sixty feet you'd think it would be tough not to notice if it were really out there, but some cryptozoologists believe megalodon might exhibit behaviors that make it even more elusive than the megamouth. Some say megalodon, if it is still around, likely lives in very deep water such as the Mariana Trench. Here we see a few ways the megamouth shark can help to bolster this idea. One of the reasons the megamouth remained hidden from science for so long was because of it is believed to exhibit a pattern of diurnal vertical migration. This is where a sea creature stays in the depths during daylight hours, then comes closer to the surface and even into shallow waters at night. In the case of the megamouth it is following small organisms such as krill, many of which migrate from the depths to the surface at night. As for megalodon, we may speculate that it is following larger prey items like giant squid. Or, perhaps it preys on some other large, unknown creatures. If megamouth is so rare, who knows what else could be out there? 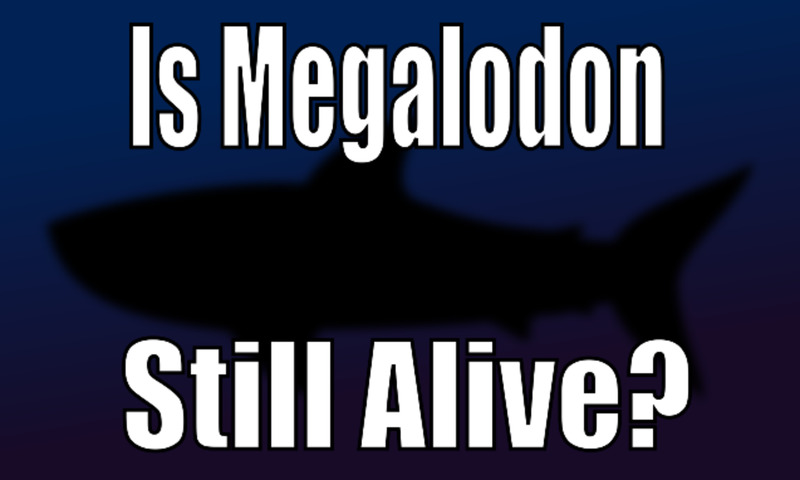 Of course this isn't nearly enough to say megalodon is still out there, but the fact that a large shark like the megamouth could elude marine biologists provides a little food for thought. What else could be out there? 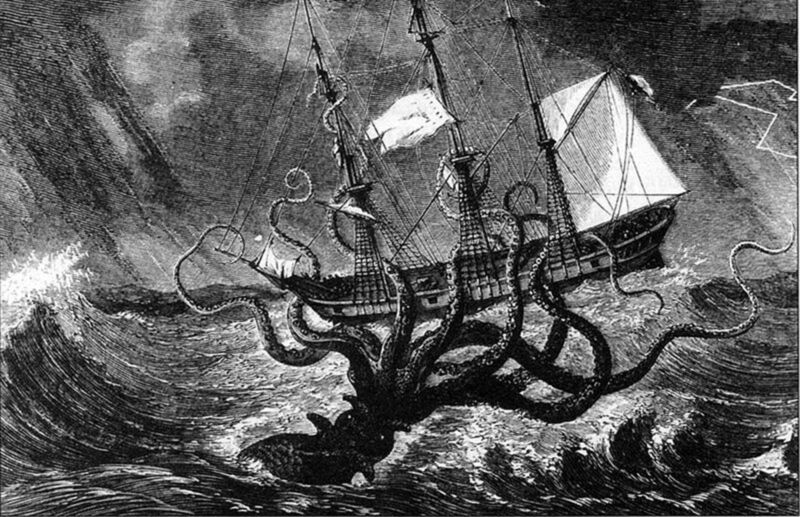 Sailors and sea goers claim to have spotted sea monsters for as long as people have been traveling the ocean. Is it possible that some of their stories could be true? From Mermaids to Lake Monsters, strange creatures always seem to come attached to large bodies of water, and the ocean is the largest body of water of them all. Much of it is unexplored, even in modern times. 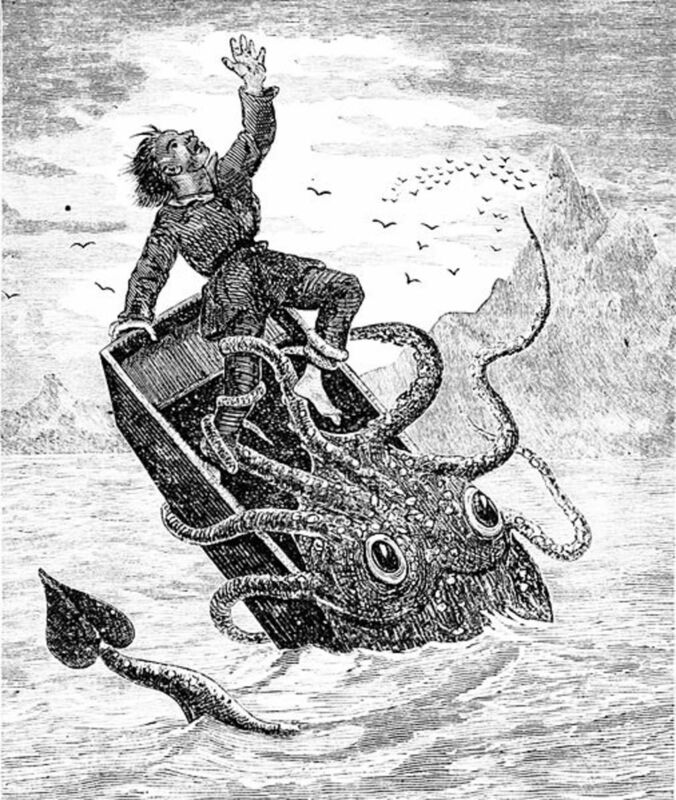 So, are there sea monsters in the open ocean? That depends on our definition of "monster". Even the most skeptical of minds has to admit there may be unknown large creatures down there, awaiting discovery. The first recorded megamouth encounter in 1976 may seem like it happened a long time ago, but in terms of how long mankind has been documenting the ocean it was really almost yesterday. It's also worth noting that the second documented encounter didn't occur until 1984. This highlights how easily a species can slip past our detection, even after we know it exists! We have to assume any large, undocumented creatures must live in fairly deep water, or in remote parts of the open ocean. They likely occur in areas people rarely frequent, because to do so is either dangerous or simply impractical. 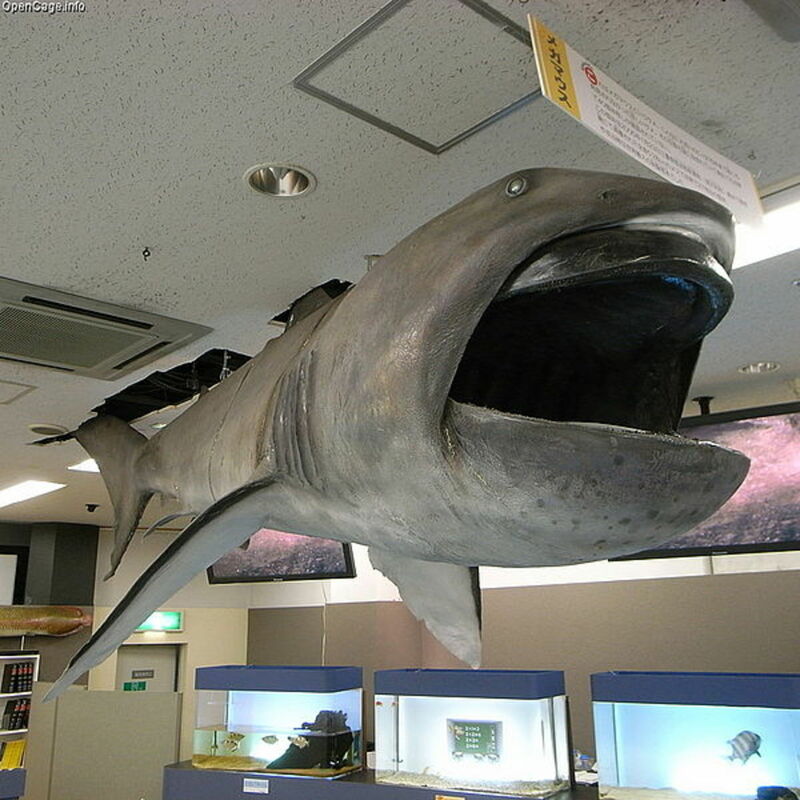 Like the discovery of the megamouth shark, encountering them will most likely be a matter of luck and circumstance. Does the tale of the megamouth shark prove massive great white sharks, the megalodon shark or even sea monsters really exist? Does it mean there must be fantastic monsters lurking in the dark of the sea, waiting to be discovered? Not even close, but it does offer some interesting ideas about how vast, unexplored and mysterious the ocean really is. Progress is often governed by money, either the quest for it or lack of it. Explorers who would set off in search of rare sea creatures in deep or remote parts of the ocean need massive funds at their disposal. Running an ocean-going research project takes big cash. Searching for sea monsters simply doesn't bring in the money. On the other hand, large companies who think it is worth their while may be motivated to explore remote parts of the sea in search of mining or other resource-related opportunities. 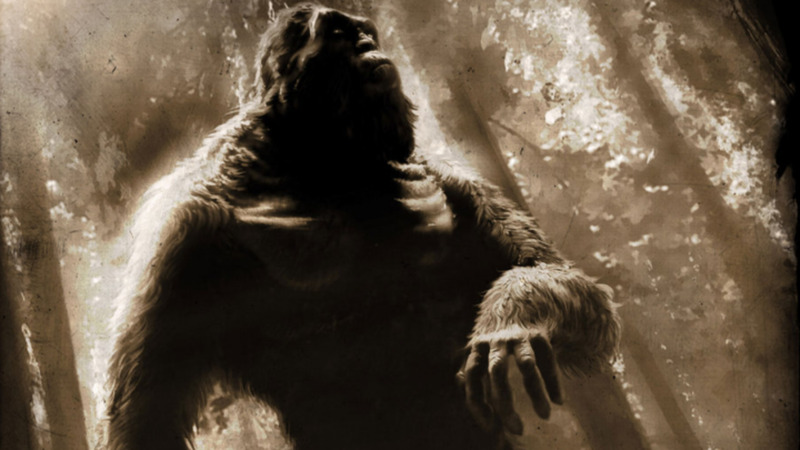 Though they might not be looking for them, these big companies with lots of money behind them may have the best chance of discovering such creatures. Hopefully they don't harm them first! This sounds a bit ominous, but really it is a good thing. It gives us a reason to believe these discovers might actually happen, and any day there may be news of something fantastic. The ocean is deep, and if nothing else perhaps the megamouth shark gives us hope that there are still amazing creatures out there to discover. What Do You Think About the Megamouth Shark? Does the story of the Megamouth Shark give us hope that there are still strange creatures left to discover? Yes! There must be other large animals in the ocean we haven't discovered yet! Maybe. 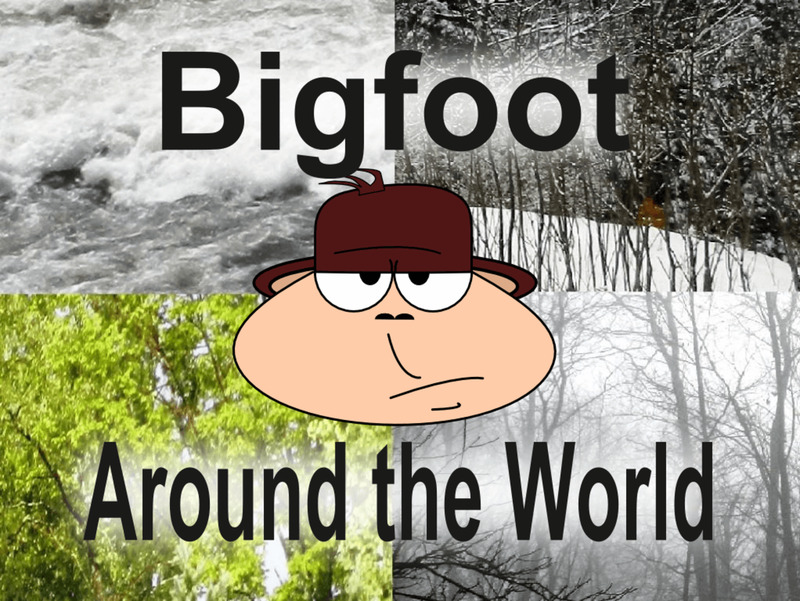 You never know what's out there, but anything that large is likely found by now. No way! We already know everything there is to know about the ocean! Does the Megalodon Shark Live in the Mariana Trench? 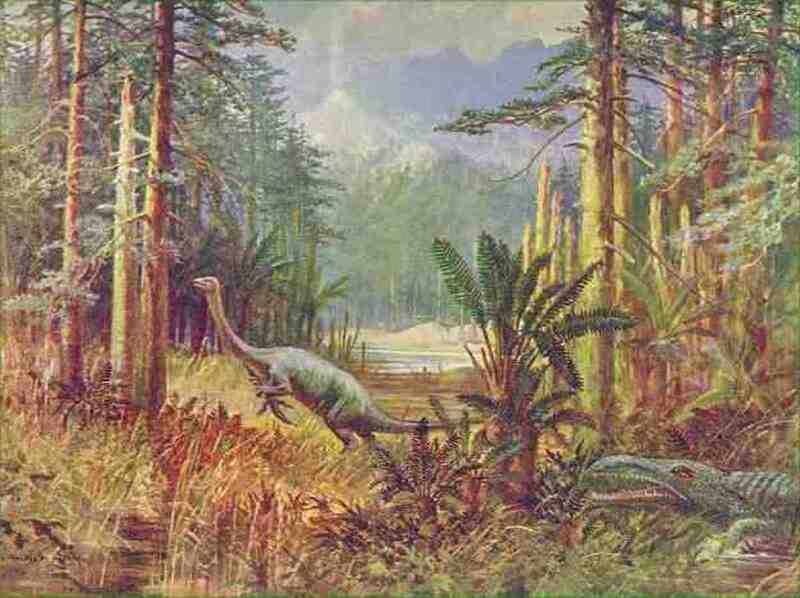 Dinosaur Sightings: Are Dinosaurs Still Alive Today in Africa? Another question we must ask ourselves, is if Megalodon still lives or if these sightings just are extremely massive Great whites. Who would benefit of keeping it a secret? I believe there must still be many things in the water we don't know about. Thanks for the kind words, Jeb! Very impressive!!! I like your plethora of knowledge in terms of ocean life that lives out in an area where humans know so little about today. Good job. Thanks poppyr. Personally, I'd like to see major advances in the both the study of space and the deep ocean. Not only will the discoveries prove incredible, but the technologies that must be developed to explore remote places often trickle over to other fields. We'd all see a benefit down the road in fields like medicine and computer science. Good article. I've always been fascinated with the ocean. I agree with Sheila on that people do argue we need to stay space, yet we don't even know everything about the world underwater. I very much doubt we've discovered everything in the big blue. Very true, Sheila. Hopefully if it's a rare species it can be immediately protected through agreed upon international conservation laws. I believe there are still many things, large and small, in the oceans yet to be discovered. I know people who argue we need to study space, but I wish that money was used to study our oceans in more detail. Then again, rare species or not, as soon as some people find some new and interesting, they hunt it for trophies and more things become extinct.